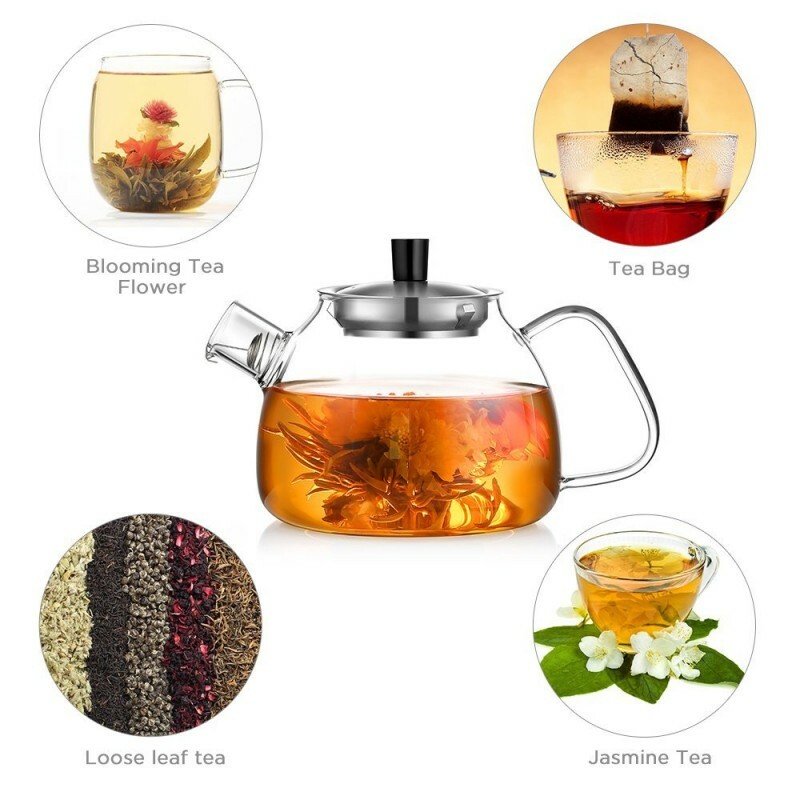 Get addicted to brewing tea with Ecooe. 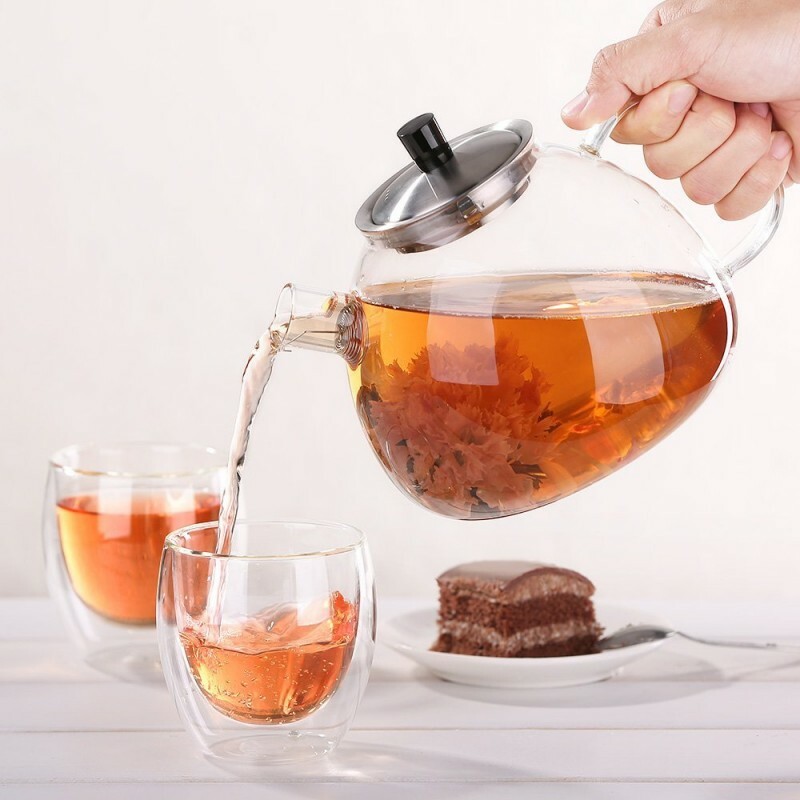 The detachable filter and the coil filter at the spout enable you to make perfect loose tea or scented tea. 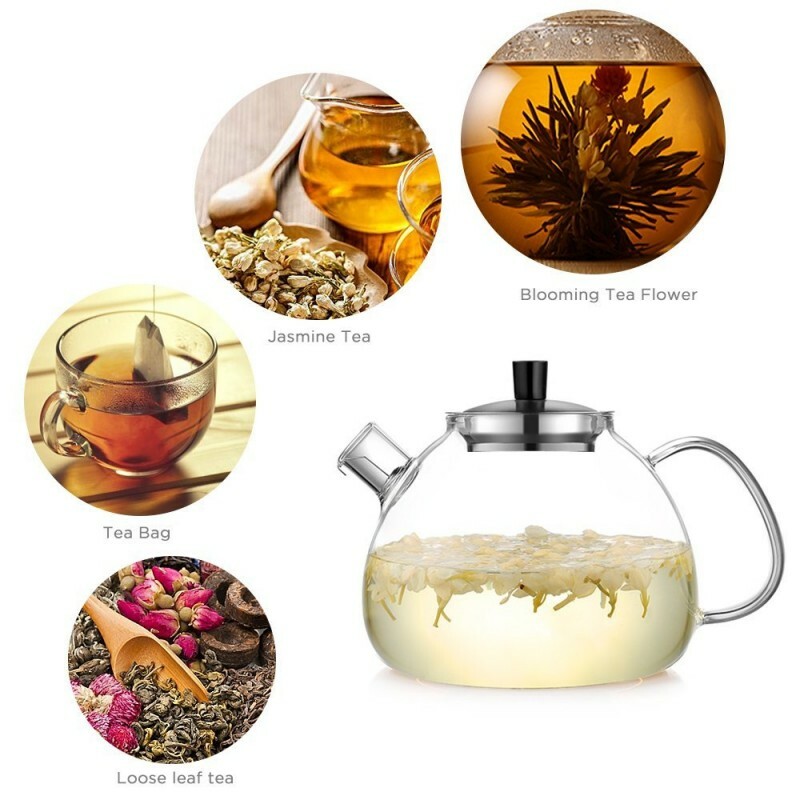 Enjoy your brewing tea, without debris in your cup. 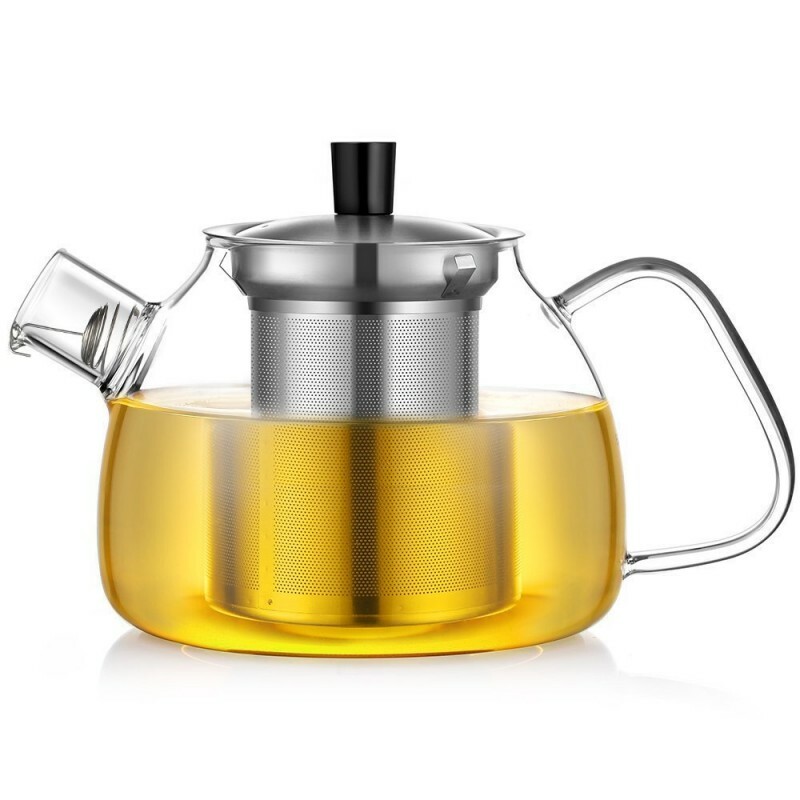 This is really a very beautiful glass kettle.. one reason I got this is to avoid the metal taste. 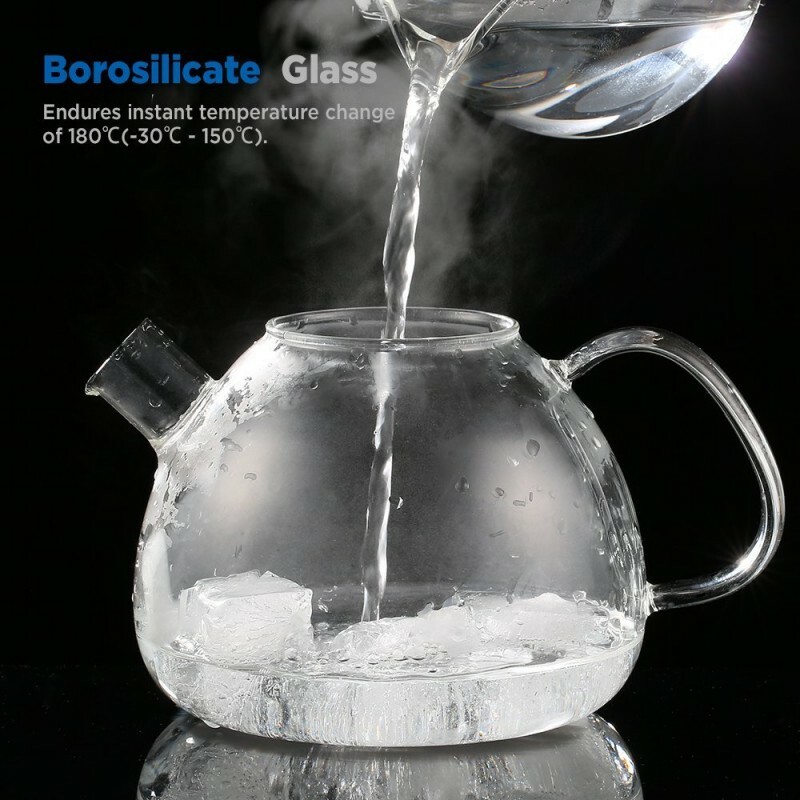 This glass kettle is heat resistant because it is made of borosilicate glass. 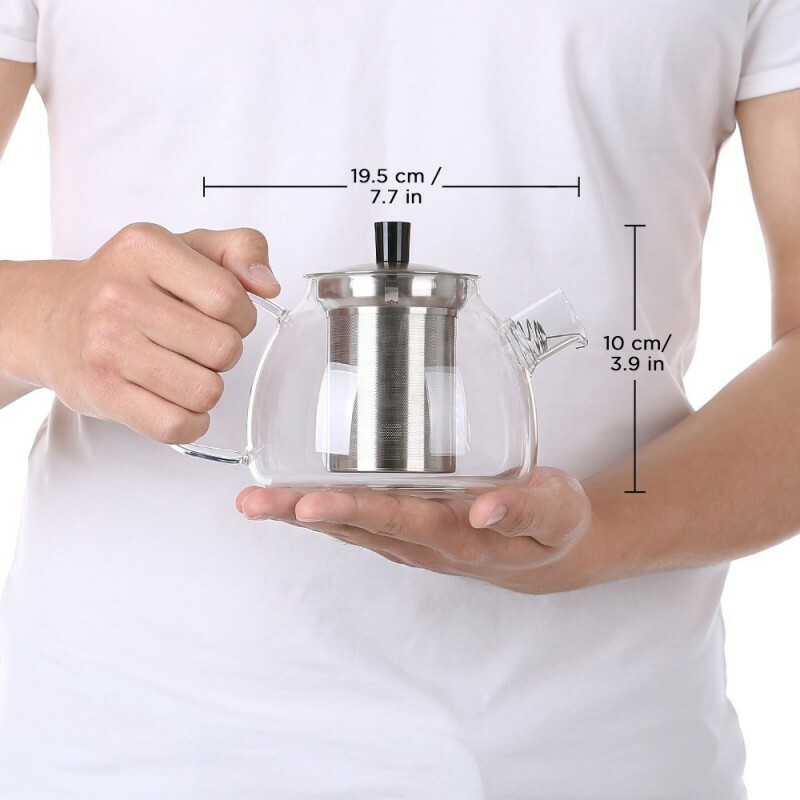 You can directly put it directly to heat and boil a water but be sure that the handle is a bit farther from the flame so that you can still hold it once you are done. 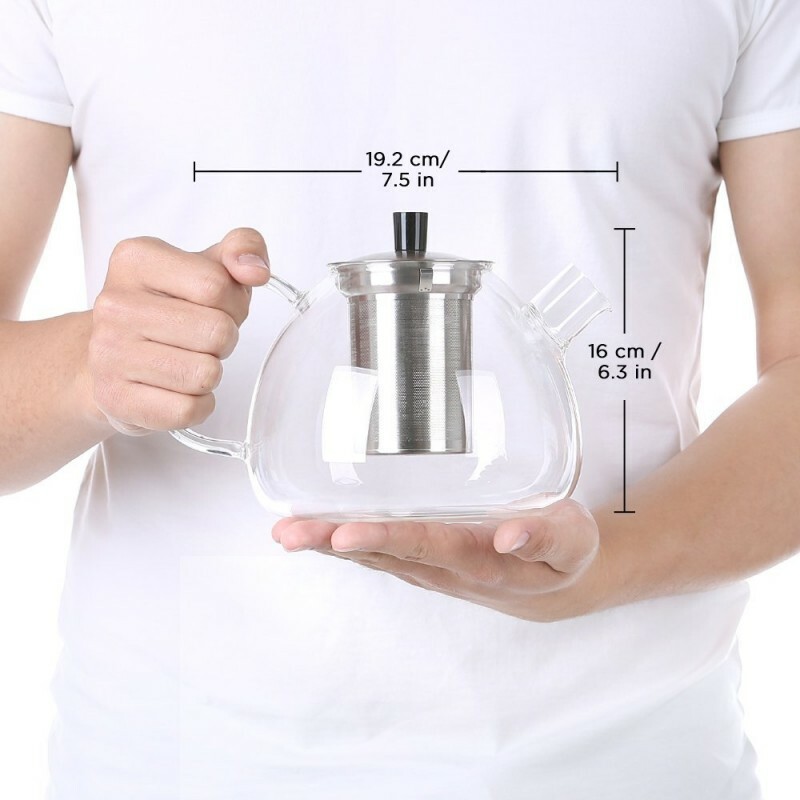 This glass kettle is lightweight and extremely durable. You can also put it in the microwave oven but please don't put the metal part on it. 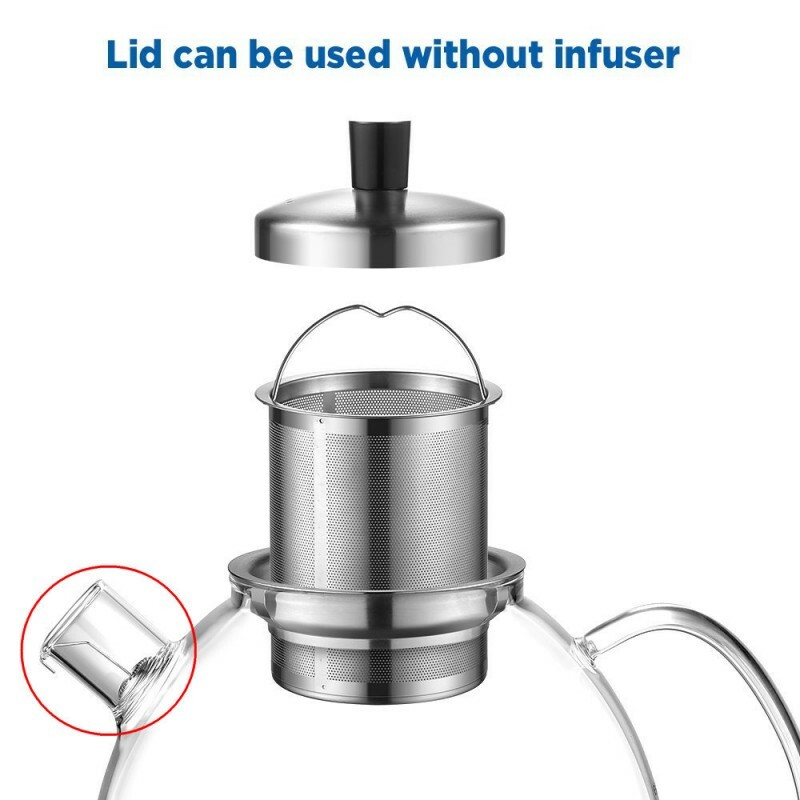 We used it mostly for teas. Maybe next time I will try to boil some eggs on it. I would highly recommend it, great buy for its price! 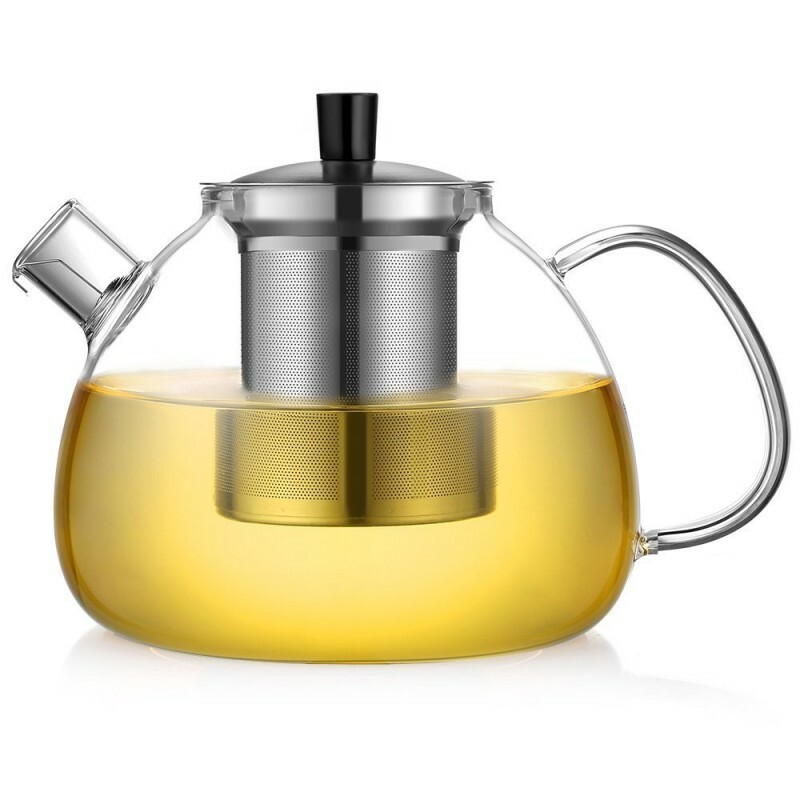 This teapot makes a great pot of tea. Highly recommend. Lovely teapot very pleased with it.